CGI of the RMN's Littoral Mission Ship. Photo c/o Malaysia Defence. 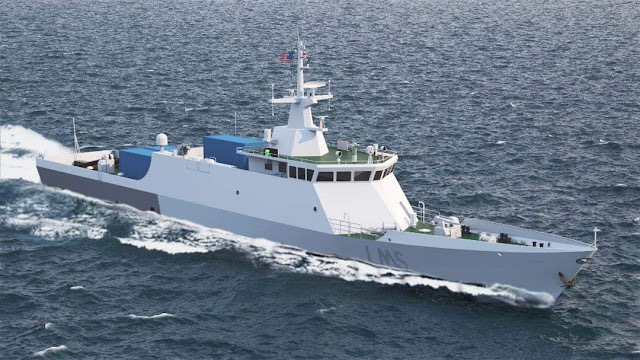 As part of reforms initiated by the current Malaysian government to review contracts signed with China or Chinese companies, the contract for the Royal Malaysian Navy (RMN) Littoral Mission Ships (LMS) was revised to reduce cost. Due to the revision, Malaysian shipbuilder Boustead Naval Shipyard will not build the last two ships of the class, and will instead all four ships will be built by Wuchang Shipbuilding, through China Shipbuilding Industry Corporation. This allows for the reduction of the total cost of the project from MYR1.17 billion (US$286.1 million) to MYR1.048 billion (US$256.8 million). This also means technology transfer requirements may be affected or removed from the deal.